From the day we are born, we are brought into a world of moral codes, behaviour modifications and messages about right or wrong. Often, these serve us well, leading us to an adjusted life where we can hold down jobs, maintain relationships and ‘get on’ in the world. But sometimes they can impact us in the other direction. Sometimes, we can get so incarcerated by the demands of life around us that we forget who we are, what we want and deny our own instincts in favour of ‘what is the right thing to do’. Sometimes it goes on for so long that we don’t even remember what our needs were in the first place. 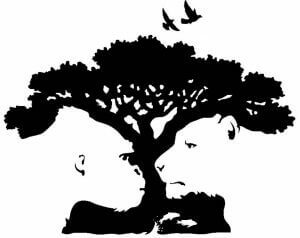 In Gestalt, there is a strong belief that our bodies will give us clear signals when something is wrong. We might say we are happy for example, but the tears in our eyes say otherwise. We might speak of a person and smile as we do so. A Gestalt therapist notices these micro bodily reactions. They especially notice when statements and body language are mismatched. We call it phenomenological tracking. The idea is in keeping track of these little incongruences, we can start to build up a sense of how deeper authentic feelings are being left unheard. In therapy, we give these feelings a voice – we bring them to the fore through talking and experiments. By giving them voice, we have a chance to explore what these bodily sensations and emotions are about, what they are telling us and how we can use that information to help us move forwards. If you are considering counselling and would like to explore Gestalt therapy as an option, please feel free to enquire or book a consultation with Katy at katerina@kgcounsellor.com, 07980 814 645 or visit www.kgcounsellor.com for more information. Previous PostPrevious Even therapists need TEETH!